In a shallow dish, toss together the breadcrumbs, onion powder, grated Parmesan cheese, minced garlic and salt and pepper. 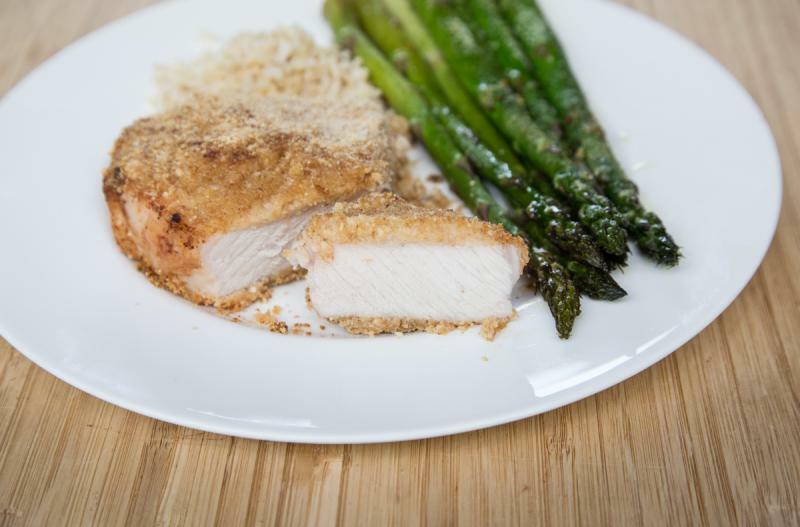 Drizzle olive oil over each pork chop and then dip each pork chop into the breadcrumb mixture, coating both sides. Place coated pork chops into the prepared baking dish. 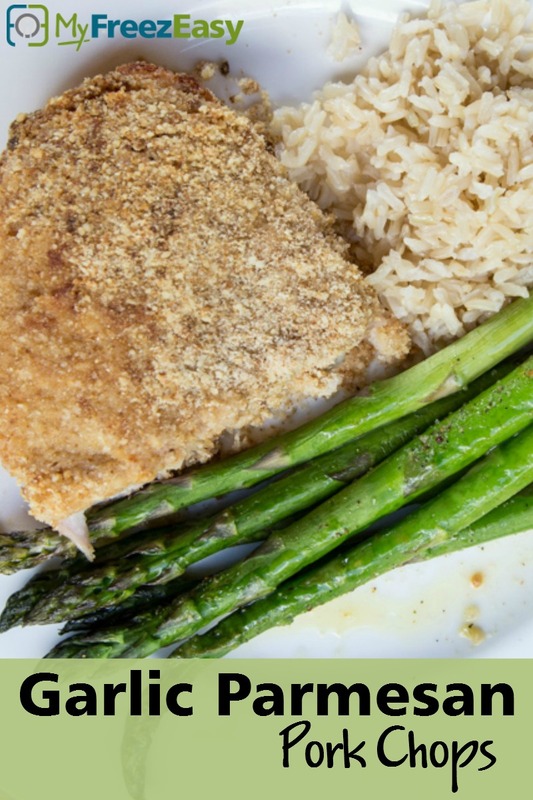 Bake in the preheated oven for 30 to 40 minutes, or until pork chops reach 145 F. Let rest for 5 minutes before serving or slicing. Cooking time may vary depending on thickness of the pork chops. Serve Garlic Parmesan Pork Chops with veggies and dinner rolls. In a shallow dish, toss together 2 cups breadcrumbs, 2 tsp onion powder, 1 cup grated Parmesan cheese, 4 tsp minced garlic and salt and pepper. Drizzle olive oil over each pork chop and then dip each pork chop into the breadcrumb mixture, coating both sides. Place coated pork chops into the disposable trays. Use gluten-free breadcrumbs for gluten-free meal. Serve with gluten-free side, like rice or mashed potatoes.